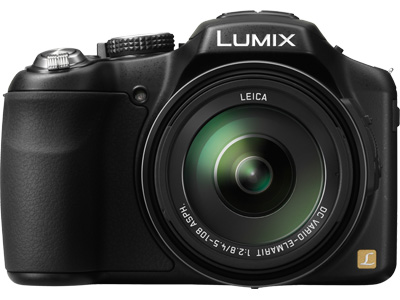 Do you have the LUMIX FZ200 digital camera? Ok, this post about the user manual or operating guide for LUMIX FZ200. Actually, this manual also for DMC-FZ60 model. As we konw it, the Panasonic LUMIX FZ200 comes with 12.1 Megapixels and 1/2.3-inch High Sensitivity MOS Sensor. It has 3.0"(7.5cm) Free-Angle TFT Screen LCD Display. The digital camera measuring 125.2 x 86.6 x 110.2 mm with weight 537g without Battery and SD Memory Card. Some important information in the Panasonic LUMIX FZ200 owners manual such as about camera part overview, standard accessories, tutorial inserting and removing the card, setting date or time, learn camera basic operations, using focusing, recording guide, playback, taking pictures with zoo, printing guide, camera setting, troubleshooting, and more. The camera cannot be operated even when it is turned on. The camera turns off immediately after it is turned on. Card/battery door does not close. The picture cannot be recorded. The recorded picture is whitish. The recorded picture is too bright or dark. The recorded picture is blurred. The Optical Image Stabilizer is not effective. The recorded picture looks rough. Noise appears on the picture. The brightness or the hue of the recorded picture is different from the actual scene. Recorded image may be warped, or nonexistent color is surrounding the subject. The LCD monitor/Viewfinder becomes darker or brighter for a moment. The LCD monitor/Viewfinder is too bright or dark. Black, red, blue and green dots appear on the LCD monitor. The picture is not played back. The folder number and the file number are displayed as [—] and the screen turns black. dates on which the pictures were taken. White round spots like soap bubbles appear on the recorded picture. A clicking sound is recorded in the motion pictures. The picture does not appear on the television. The display areas on the TV screen and the camera’s LCD monitor are different. Cannot communicate with the PC. There is a problem trying to upload to YouTube or Facebook. The picture cannot be printed when the camera is connected to a printer. The panorama picture is not printing correctly. When shaking the camera, there is a rattling sound. Part of the picture is flashing in black and white. Zoom does not go up to maximum magnification.